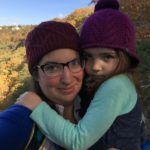 This trail is easy, paved, and accessible for strollers and wheelchairs–and still offers incredible views from the top of Cadillac Mountain. 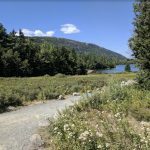 The trail starts from the parking lot next to a small gift shop, where you can speak with rangers, learn more about Acadia National Park, and get recommendations for some of the longer trails that explore the area. 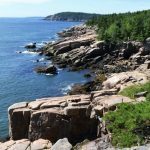 From there, the trail follows a gentle, paved path that circles the top of the mountain and offers incredible views of the surrounding harbor. There are plaques located along the path described the sights below, and ample opportunities for photo ops. Cadillac Mountain is one of the first places in the US the rising sun hits, making this an excellent sunrise option. The weather at the top can be very windy, and at over 1500 feet above sea level will be several degrees colder than at the base of the mountain, so layers are encouraged. There are some places you can go off trail to climb on the rocks on the mountain, but pay attention to signage so you don’t go onto areas where foot traffic is prohibited. This is also a very popular trail, especially during peak tourist season during the summertime. 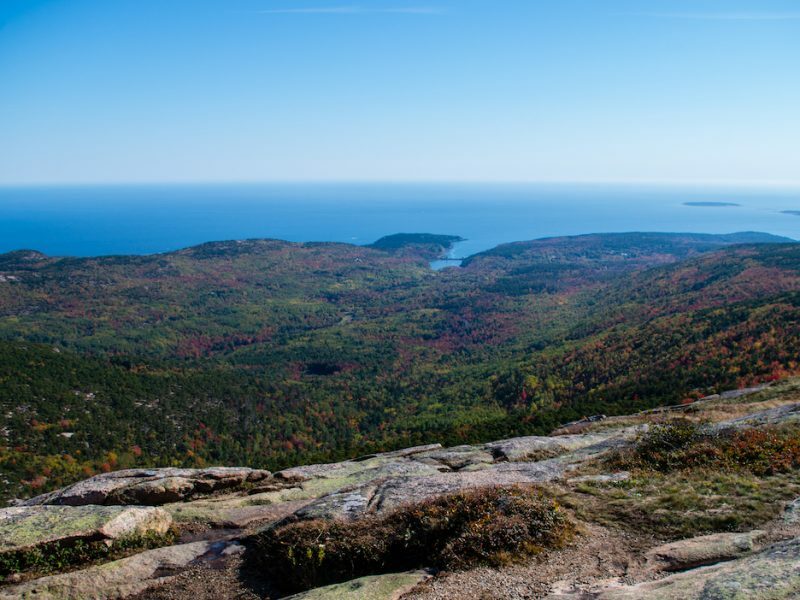 The views are the highlight of this trail; with much of Acadia National Park being at or just above sea level, Cadillac Mountain is a must-see if you are in this area to take in the views of Frenchman Bay, Porcupine Islands, and the city of Bar Harbor. It is an incredible place to take in sunrise views, but be prepared for crowds at this time of day, especially during peak tourist season.